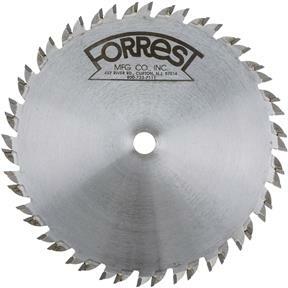 Finally, a two piece cutter set that consists of 2-8" diameter x 24 teeth reversible cutters with a 5/8" bore. Special sub/micron C-4 carbide insures long life and durability. These two 8" blades make box or finger joint construction easy, producing, strong, accurate cuts without shims or time consuming adjustments. Blades are marked for easy installation! Simply install the blades interlocked for a 1/4" box or finger joint or reverse the blades for a 3/8" box or finger joint. It's just that easy!